A year later, we are in the process of completely replacing Flow with Typescript. Over the last year, Typescript has added all the features I was missing, while Flow started to show serious problems. I want to list some of the individual points that made us switch and then give some advice for projects attempting the same. This post summarizes a talk I gave at the AngularJS Meetup Berlin in October 2014. Controllers are are a vital but widely misunderstood part of AngularJS. Thousands of clueless articles and very unfortunate examples in the official documentation are helping to spread confusion instead of clarity about the proper use of controllers. I want to shed some light on the issue and present how we use controllers successfully in the Contentful user interface. The world is not yet finished, but everyone is behaving as if everything was known. This is not true. In fact, the computer world as we know it is based upon one tradition that has been waddling along for the last fifty years, growing in size and ungainliness, and is essentially defining the way we do everything. My view is that today’s computer world is based on techie misunderstandings of human thought and human life. And the imposition of inappropriate structures throughout the computer is the imposition of inappropriate structures on the things we want to do in the human world. Now, I want to add something to that and especially to the brilliant article I found that quote in. Something that is becoming increasingly clear to me over time. I don’t like technological change very much. I don’t like technology in itself, for its own sake. I don’t like to create things I don’t need, to solve problems I wouldn’t have if some other solution hadn’t shaped those problems in the past. I’m not looking for problems, not searching for them. The ones that already present themselves are enough, and the technological issues are not the ones that matter. In technology, almost nobody ever stops, looks back and tries to put the past into context. Everyone is always breaking new ground before understanding where we stand. The question seems to always be “What can I do with this?”, not “What problem does this solve?”. Now, while adventuring step by step into opportunities that present themselves as they appear is a sure way to make progress, but you won’t be able to influence your direction very much. You run into danger of getting hopelessly lost or end up in a place you don’t actually want to be. By creating and creating myriads of aimless possibilities we’re making the world unnecessarily more complex, losing ourselves in it at the same time. It’s funny, lately I’ve been observing myself on multiple occasions sitting on the couch with three mobile devices: My Kindle, my iPad and my Phone, using them in parallel. A scene like this would not have raised any attention in Star Trek - the Next Generation, yet here it is being played out, in the reality of my living room. So, this is our return from the round trip that has been the Personal Computer. The desk, as a workplace where you spatially arrange your documents to deal with them has been emulated by graphical operating systems inform of windows you could drag around and icons you would arrange on your screen. Now here I am, with three screens (“windows”) in retina resolution of different sizes. On one I am reading a book. On the second I’m either taking notes or looking things up in a browser. On the third I’m exchanging a couple of words with a friend through instant messaging or send an email to someone I just realized I would really like to see over christmas. This is the traditional Desktop, literally the Top of my Desk (ignore for the sake of the argument, that I’m actually on a couch. What’s the difference even)? 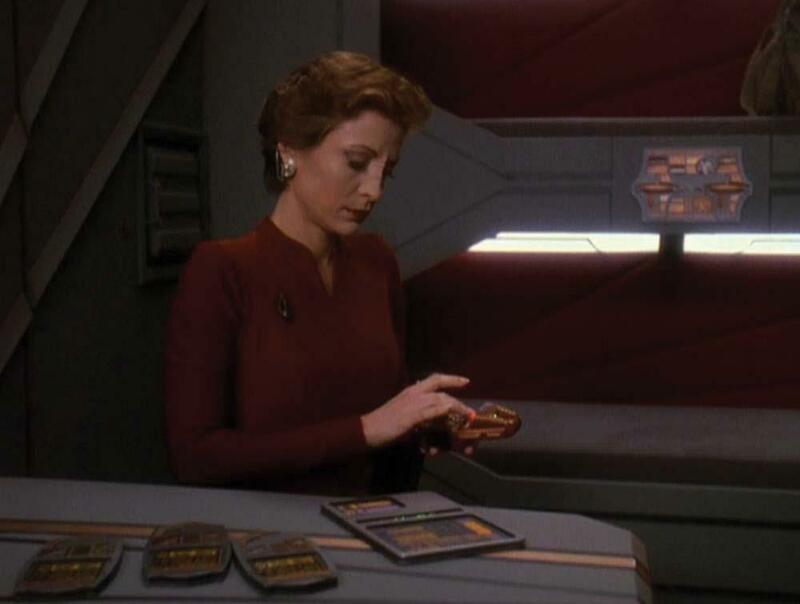 Just as before the personal computing revolution, I’m arranging different aspects of my work around me and interact with them individually, shifting my attention by grabbing one device and putting the other away. This already works exceptionally well and there’s no denying that this is the direction we’re all headed. 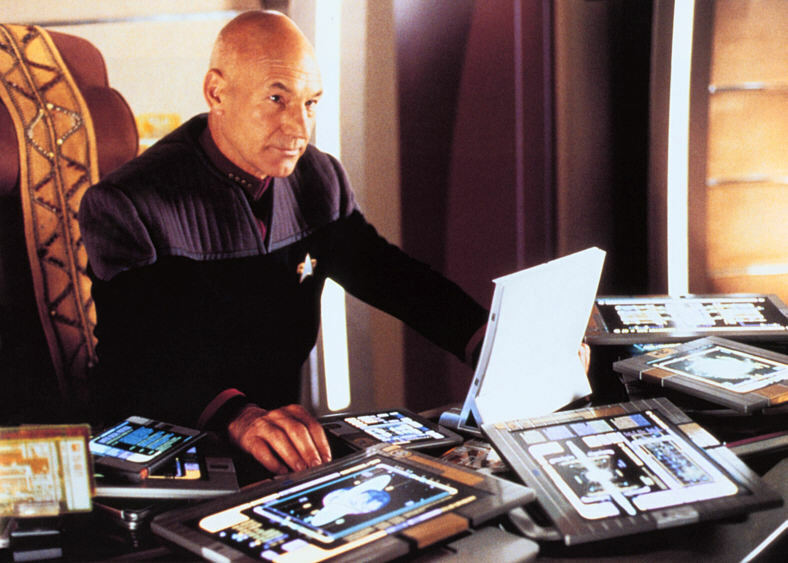 While I’m not convinced that the traditional computer with display, mouse and keyboard will ever disappear completely (Picard is still using one! ), the future for most people will probably be a couple of independent tablets that are casually repurposed through software for whatever task is at hand. The future is here. Over 300 years early. Demanding an absolute proof of correctness about a program is a noble but pointless exercise. All you can prove is that a program adheres to a specification. Now what you have achieved is a shift of responsibility from the program to the spec. And who’s going to prove your spec correct? The more you streamline and automate this process, the more your spec becomes your program. You just invented a DSL, nice job. This is not to say that formal proofs or reasoning about correctness are entirely worthless. Just that we should not expect them to do more than they are capable of.